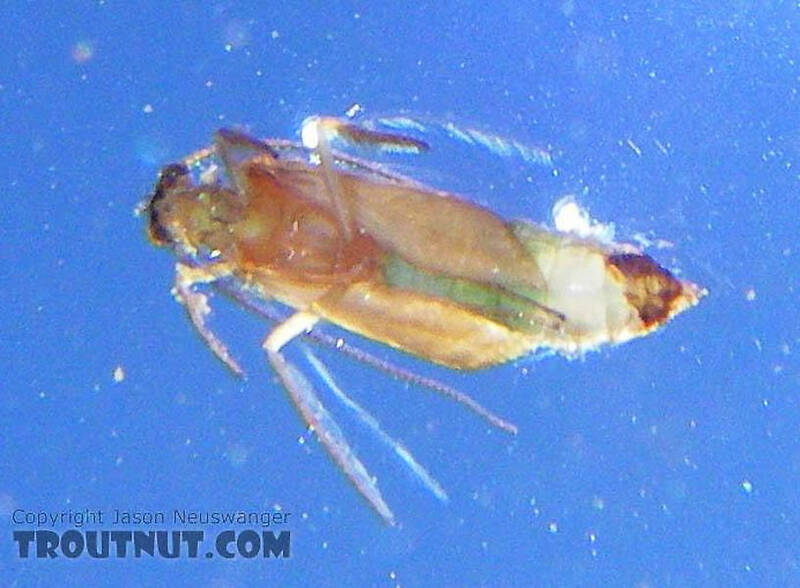 Studio pictures of 96 Trichoptera specimens. 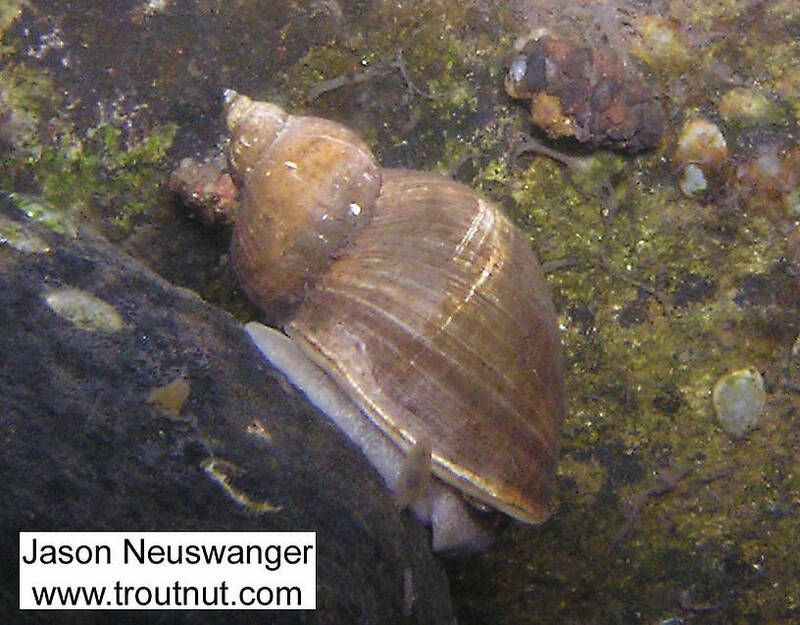 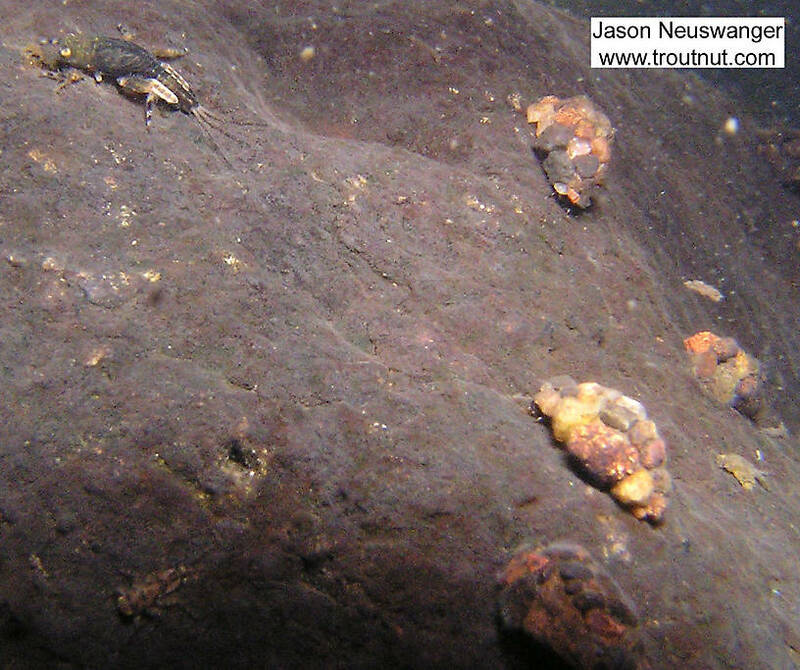 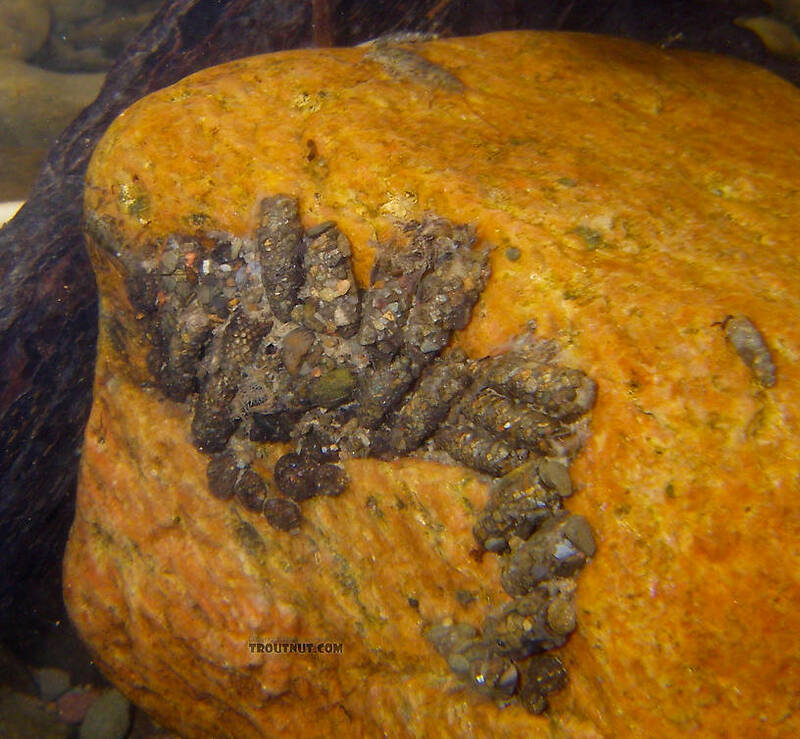 Cased caddis larvae blanket this section of stream bottom. 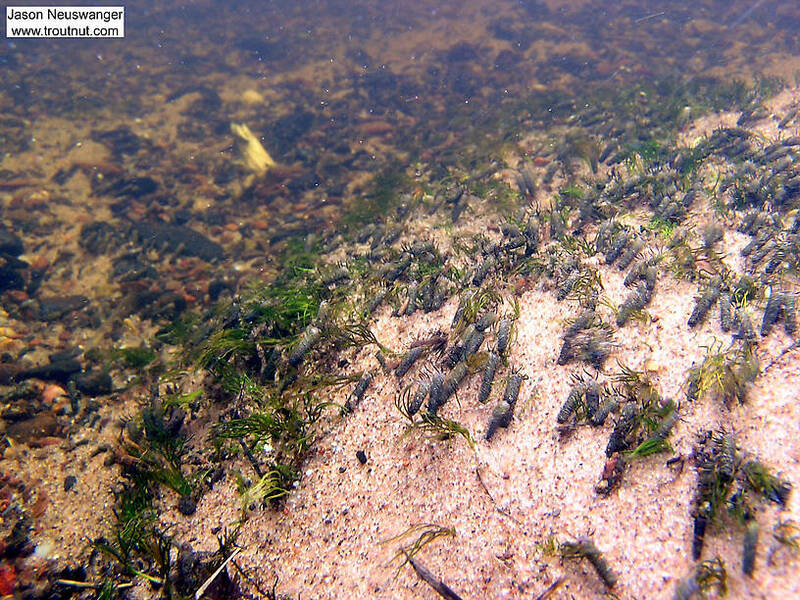 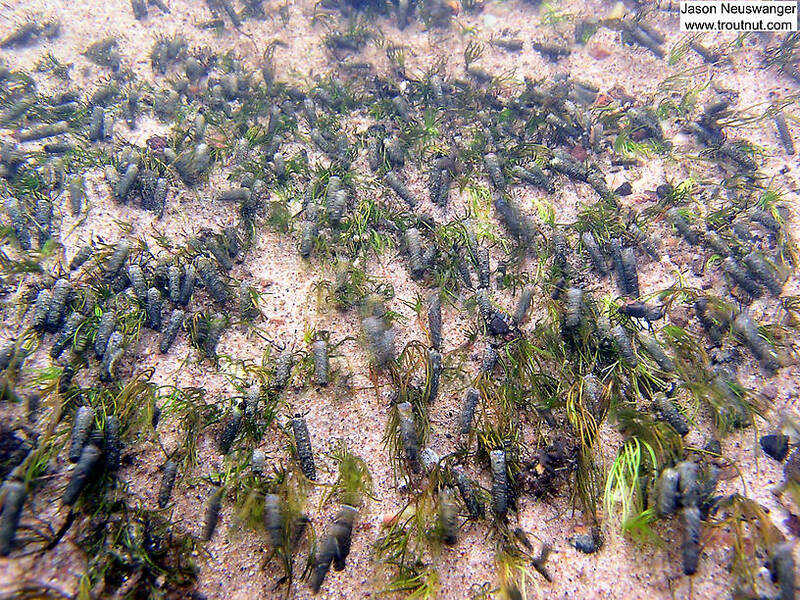 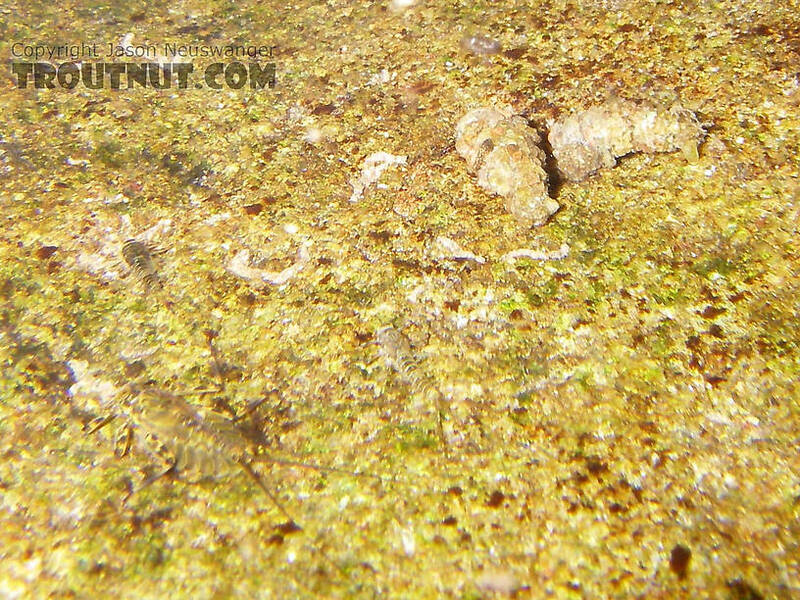 Hundreds of cased caddis larvae cling to sparse weed growth in the sand under heavy current. 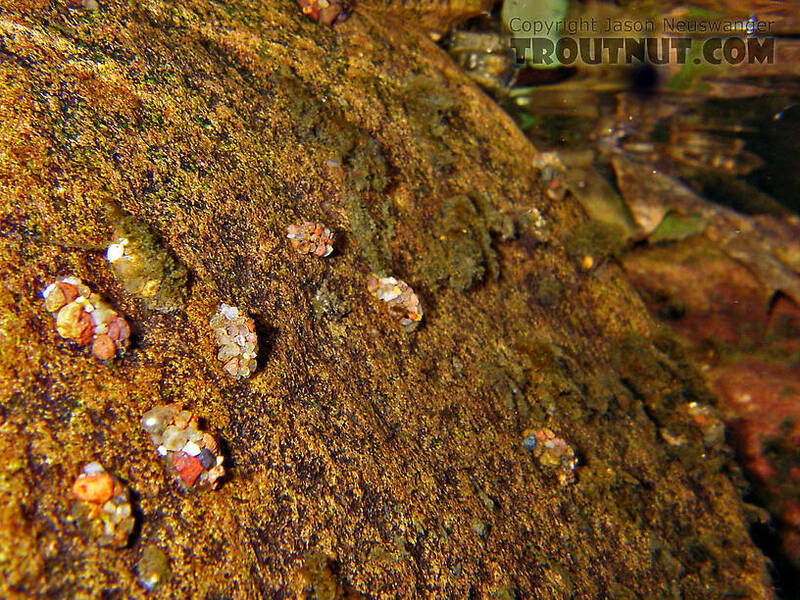 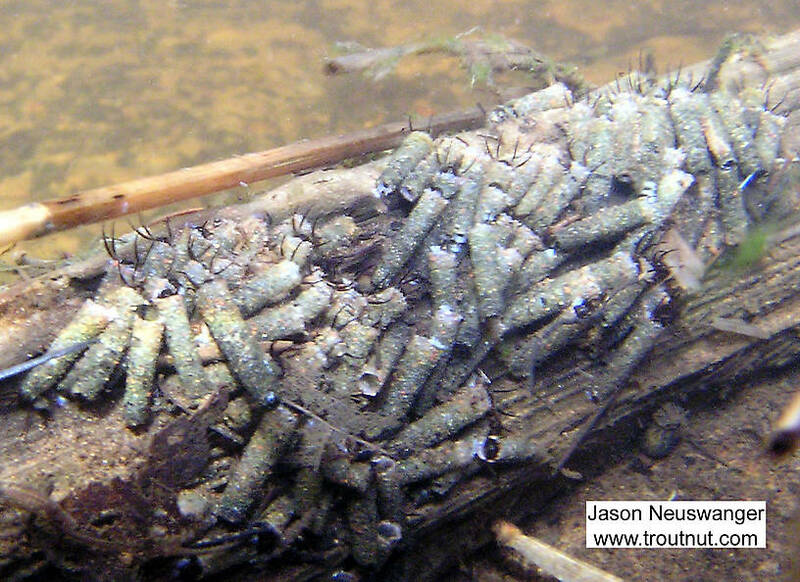 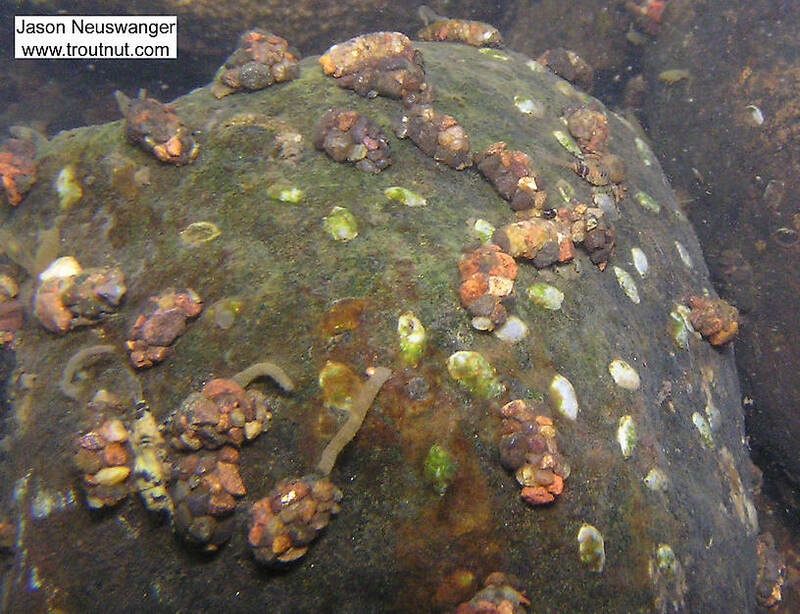 In this picture: Caddisfly Family Glossosomatidae (Saddle-case Makers).